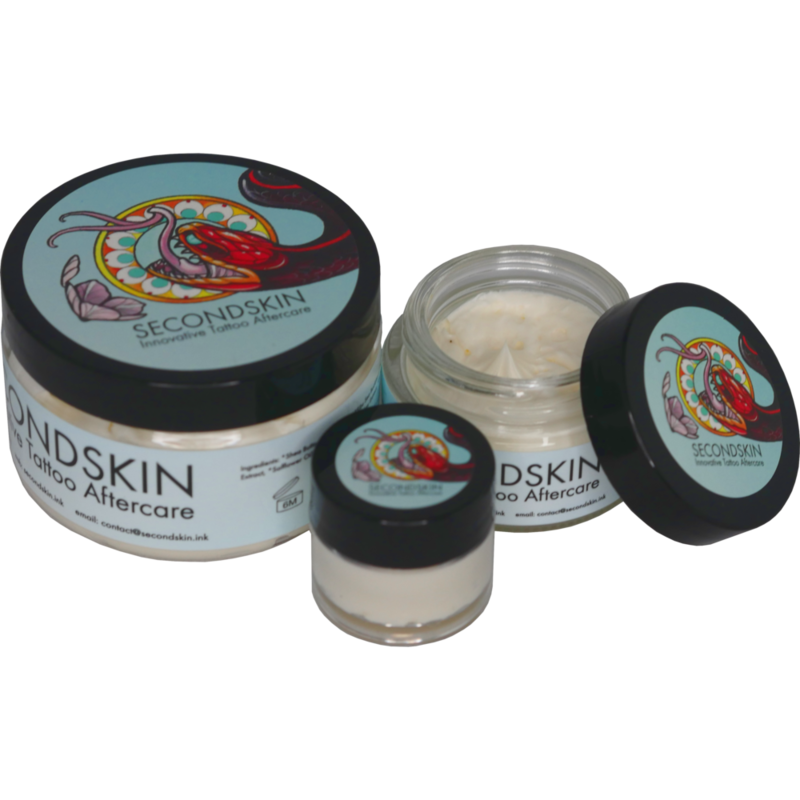 SecondSkin™ Tattoo Cream is the new standard in care. It is certified vegan and USDA certified organic. With the highest quality ingredients, you can ensure that only the best is going on and in your body. We have worked closely with tattoo artists and skincare professionals over the course of a year and a half to develop our new Tattoo Cream. It utilizes Shea Butter, Coconut Oil, and plant extracts to be used during and after the tattoo process. Thanks, we’ll hit you back up soon! Samples are intended for tattoo shops and supply companies in the US. We need to be able to verify your info through your instagram, facebook, or website and only ship to tattoo shop addresses. As soon as we verify your shop we’ll get that sample on its way!